The decade ahead looks set to be more challenging for investors than the previous one, highlighting the need for discipline in portfolio construction, risk allocation, as well as selectivity of securities and products, said an industry expert. While 2019 started with markets overshooting fundamentals there are late cycle forces at play, slowing economic and earnings growth, but recession is not forecasted in the US nor a hard-landing in China, added Maurice Gravier, chief investment officer, Emirates NBD (ENBD), a leading banking group in the region, at the media briefing during the release of the global investment outlook for 2019 themed “Preparing for the Next Decade”. 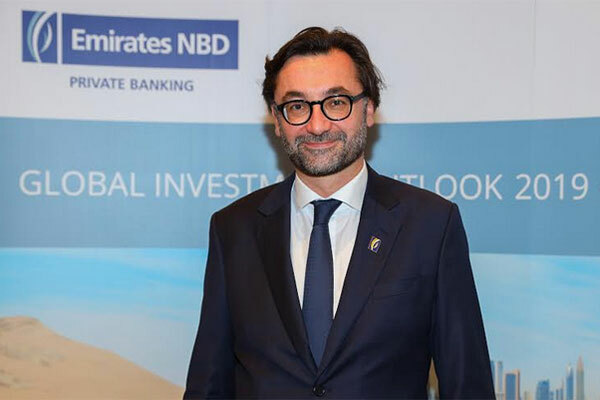 “Accordingly, Emirates NBD Wealth Management has reinforced its investment process around three key pillars to safely navigate what should be a turbulent decade for investors: a robust strategic portfolio construction, a framework to dynamically allocate capital when opportunities arise, and more than ever, selecting the right securities after years of passive investment hegemony,” said Gravier. On last year, it was highlighted how 2018 marked the transition to a new regime of lower expected returns and higher risks, with less economic growth and richer valuations. Gravier estimated that volatility will continue to be elevated, with less liquidity and ever rising political uncertainty. Record levels of global debt are a common denominator, capping growth and heightening investment risk. He further claimed that there is also good news - secular positive trends are still at play, valuation opportunities have appeared and cash is back as a yielding asset. He concluded by reiterating that “definitely, the future is not what it used to be, but history has proven that turbulent markets generate the best investment opportunities”. • Sectors: technology our preferred growth sector, we play materials and GCC banks for dividends, and favour Healthcare as our preferred defensive sector.